We encourage you to bring your child in for a “get acquainted visit”. We will show them around to help make them familiar with our office and have them sit up in the chair for an examination. Your child may choose to sit in your lap, and that’s okay, too! Our goal is for them to be comfortable and relaxed. We will count their teeth, show them how to brush, and talk about how important it is to take care of their teeth. 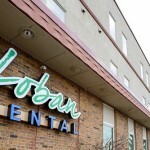 Dr. Loban, will also assess their oral health and can discuss with you any concerns with crowding, occlusion (bite), or risk of cavities to ensure they are developing appropriately. We recommend that kids have their teeth cleaned every six months. We also recommend a fluoride treatment to protect their teeth and keep them healthy and strong.